When it comes to comfort in your home, there's nothing quite like soft, fresh smelling carpet. Keeping this home comfort clean, healthy and safe is a priority of most homeowners and tenants. Choosing the right carpet cleaning company is vital to keeping your home looking great and smelling fresh, especially if you have inside pets or a busy groups of kids coming in and out of your home, walking, slithering, jumping and sliding. Choosing the wrong residential carpet cleaning company can lead to frustration, large cleaning bills and possibly even mold growth under the carpet. We promise to keep your carpets looking great and to always treat you with fairness, respect and compassion. Read about our Residential Carpet Cleaning Services. Rental Carpet Cleaning Machines - Good or Bad? Carpet Machine Rentals are easy, but are not nearly as effective as our professional equipment and trained carpet cleaning technicians. It might be likened to asking a carpet cleaning tech to repair the transmission in your car. The results are not going to be what you might expect and could end up costing more in the long run. Hiring a professional carpet cleaner will give you much better results than renting a piece of carpet cleaning machinery - Guaranteed! We offer two types of carpet cleaning for residential homes depending on the situation. Dry and wet. Dry Carpet Cleaning allows the carpet to be used almost as soon as we are finished cleaning. There is little to no drying time. Drying time is minutes, not hours, like wet carpet cleaning. This means you can stay be in the home while we are cleaning your carpets and use them as soon as we are finished. Our dry carpet cleaning is the HostDry® System. Our wet system is Hot Water Extraction Carpet Cleaning. This system uses more hot water than the dry cleaning method. Therefore it must dry before it can be used again. This process can restore most carpet to a like new look, reducing the effects of wear in high traffic area, and can extend the life up to several years, thus saving you money on replacement. Step 1 - Deep Vacuuming to remove all dry, lose dirt. Step 2 - Hot Water Extraction to losing and remove ground it dirt, grease, stains, spots, germs, bacteria, diseases, dust mites, allergens and mold. Step 3 - Add Optional Protective Agents to the rug or carpet to keep it clean and extend its life. Read about our Area and Oriental Rug Cleaning Services. 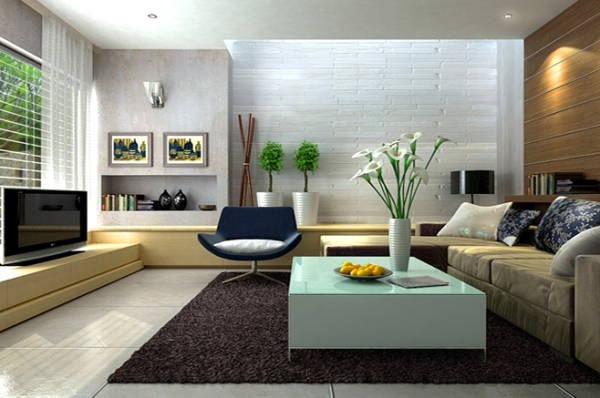 Area rugs really give a comfortable feeling to a any home. They also make a tile or wood entry way much safer when its raining outside. But they also take the brunt of foot traffic and hold a ton of dirt because they are often placed in heavy traffic areas. We can clean and maintain area rugs. Professional cleaning of area rugs is one of our specialties. Taking Area Rugs to the next level, Oriental Rugs add a special flare and elegance to a home. Oriental rugs can last for decades if properly cared for and cleaned by a professional on regular basis. Oriental rugs take special care when being cleaned. Our effective, yet gentle oriental rug cleaning and drying process preserves the dye that make the fibers and rug so beautiful. Cleaning it improperly can fade and damage the oriental rug. Read about our Upholstery Cleaning services. Kitchen chairs, couches, love seats, and more. All furniture gets dirty quick in a busy household environment. Dust, germs and tiny mites find a comfy home in the fibers of fabric furniture. This detracts from the dignity and cleanliness your home. It also spreads germs to guests and family members. Our Upholstery Cleaning System will keep your home furniture looking great, smelling fresh and safe for your family and guests. Outdoor furniture is a great place to enjoy the pleasant Atlanta weather during all four seasons. But outdoor furniture get dirty quick. This outdoor furniture can get gross really fast depending on your outdoor living space. Pets sleeping on it, kids jumping from the pool, to the yard, to the furniture, etc... Dust and dirt landing on it, rain, etc... Yuck! Cleaning this outdoor furniture on a regular basis is a must and we have the equipment and knowledge to make it happen. Read about our other commercial cleaning services. Leather adds a certain elegance to a home. But it also must be cleaned and maintained to prevent premature aging and drying. We can clean and protect your leather furniture against spills and dirt. We can also restore your leather furniture if it is already worn and dated to its original like luster. Tile, Stone and Grout Flooring looks great and is super durable in a home. But these shiny floors must be properly maintained if they are to last the test of time. We can clean and shine most tile and grout floors or walls. We can also clean and polish stone, granite and marble floors. We use a powerful deep-cleaning extraction equipment to remove dirt and oil build-up. This makes the hard flooring look great, like new, and will add to the clean and safe feeling of your home.